The Pinnacles at Menlyn is a vibrant new mixed used development will include AAA office towers, a hotel and residential units representing an exciting expansion of the downtown core in the form of a true live-work-play destination. The Pinnacles trademark reflects the exceptional quality of the development and of its tenant profile. 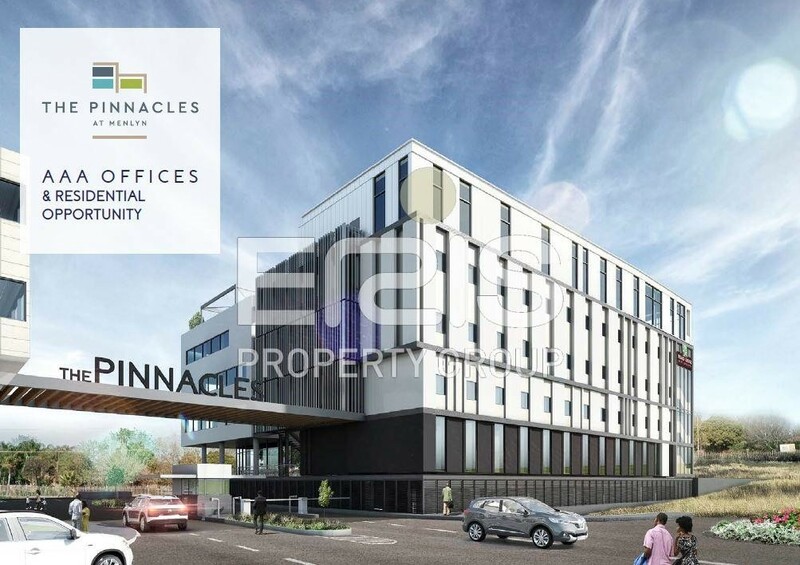 With a total bulk of 38 000 square meters of office space spread into seven buildings and ample parking the Pinnacles provides a linear solution and prime presence to all tenants. The Pinnacles at Menlyn is located in the Menlyn area. Situated on the busy street of Atterbury Road, its easy accessible from Garsfontein Road and January Masilela Drive. With less than 5 minutes from the N1 Highway on and off-ramps, The Pinnacles at Menlyn provides for the ideal location in Menlyn for your business! Great visibility and exposure for your business!